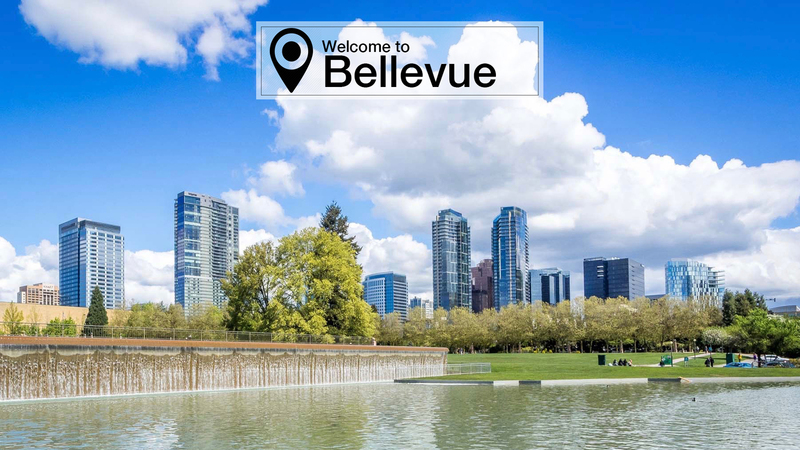 Located just a stone’s throw across Lake Washington from Seattle, Bellevue is a rapidly growing and diverse city. With an influx of tech companies in recent years, Bellevue has experienced tremendous growth and development, becoming the state’s 5th largest city. Bellevue’s modern downtown, mostly built during a building boom in 2008, is a culturally rich hub of technology and upscale shopping. Home to dozens of tech companies, such as Expedia, T-Mobile, Intellectual Ventures, and Boeing, along with the Microsoft headquarters and Amazon within close distance, the job opportunities in Bellevue are incredible and continually growing. Focused on excellence in all forms, Bellevue also boasts two of the top five high schools in the state. Downtown Bellevue has more than 9 million square feet of office space and 4.5 million square feet of retail and entertainment space. The Bellevue Collection is the premiere shopping location downtown that focuses on the high-end brand experience and covers a broad range of shopping options, from clothing to technology to galleries, and everything in between. Downtown Bellevue also features over 170 places to dine, including food trucks, pastry shops, sidewalk bistros, upscale dining, and more.